WARNING: You are about to read my UTTERLY BIGGEST SECRETS. Can I trust you? OK then. 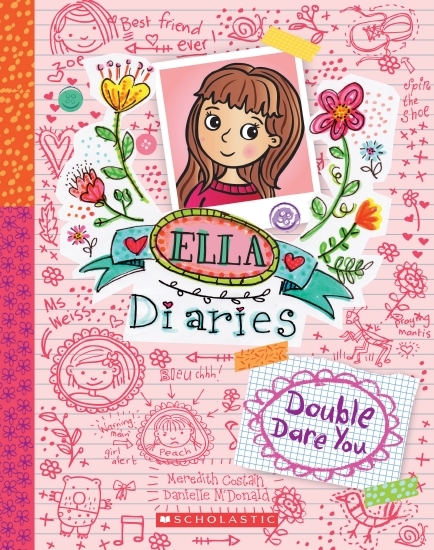 I’m Ella, and this is my diary. It’s a new school year, and everything is perfect. Ella has a new uniform, glittery stationery and can’t wait to meet her new teacher. Until class starts, that is — and EVERYTHING goes wrong. She can’t believe she has to sit next to her absolutely WORST ENEMY EVER, Peach Parker! No matter how far she moves her pencil case across the desk, Peach is in her SPACE. Where’s her BFF Zoe? Can this year get ANY WORSE? Tune into the secret thoughts of Ella as she battles the school bully and turns a lunch time curse into a lunch time craze! 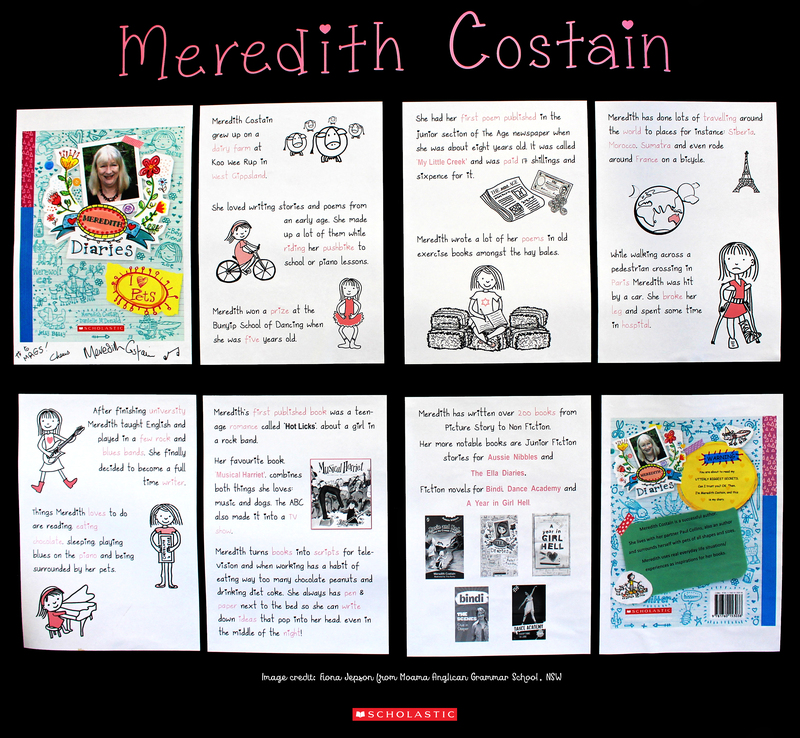 Meredith Costain is a versatile award-winning writer. Her first picture book, Musical Harriet, was adapted for television by the ABC, and her poetry book Doodledum Dancing was a CBCA Honour Book. A former English teacher and kids’ magazine editor, she enjoys writing poems with kids around Australia, and playing ‘Fetch!’ with her dogs and cats.